A five hundred-year old traditional European remedy for circulatory problems is finding new uses in modern natural health and healing. Everyone loves blueberry pie! Beyond being excellent in desserts, berries have the highest levels of health-enhancing antioxidants of all fruits. Most notable is the bilberry fruit, a close relative of the blueberry. Bilberry has a medicinal history that spans five hundred years. Herbalists have recommended it since the sixteenth century for relief of inflamed mucous membranes, various eye disorders, and in the treatment of diarrhea. Nowadays, researchers in Europe are ‘noticing’ the benefits of bilberry, and are recommending it for the improvement of heart health. Used as a dried fruit or as an extract, bilberry contains a large variety of flavonoid compounds called anthocyanosides. Anthocyanosides are highly beneficial to the body due to their anti-inflammatory and anti-oxidant properties. Additionally, scientists across Europe are testing bilberry leaf for its hypoglycemic (blood sugar-lowering) properties, and the bilberry fruit for its vasoprotective (protective to the blood vessels) qualities. It seems to be the bilberry’s ability to enhance circulation that caused it to develop a centuries-old reputation for improving eye functions. Shown to be effective in the treatment or prevention of many ocular (vision related) conditions like cataracts and macular degeneration, it might even offer some protection from glaucoma. In both animal and human studies, bilberry has shown to improve cases of diabetic ‘retinopathies’ (disorders of the eye’s retina related to high blood sugar), presumably by promoting local circulation. Supporters of bilberry claim its ability to strengthen capillary walls makes it an ideal supplement to improve cardiovascular function. It has been used in the treatment of varicose veins, venous insufficiency (inadequate blood flow to the heart) and other circulatory disorders. Venous insufficiency is characterized by swelling in the legs, skin itching, varicosities (those purple spider veins) and leg pains, particularly while walking or during exertion. These symptoms can also be related to atherosclerosis (blockages formed by plaque), and bilberry may help in this case as well. Bilberry has traditionally been used across Europe for centuries, as a natural treatment for heart disease. Taken along with other lipid-lowering, powerful antioxidants like Co Q10, fish oils (omega-3 fats), folate, vitamin E and hawthorn berry, bilberry extract’s antioxidant, vasoprotective and vessel-strengthening abilities make it an excellent addition to anyone’s diet. 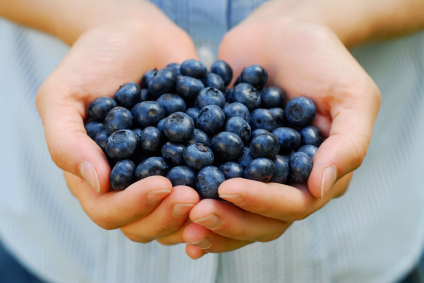 Try bilberry in your efforts to improve circulation and heart health.